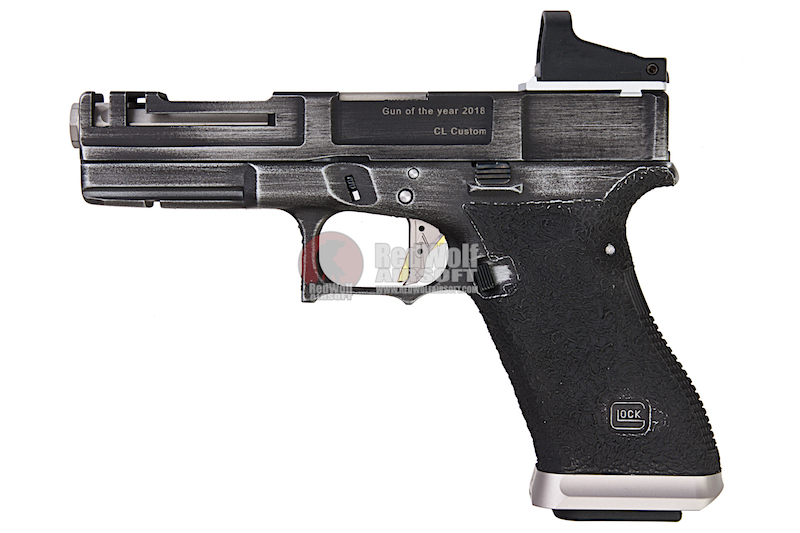 The Airsoft Surgeon Glock is the Surgeon's Gun of the Year for 2018. 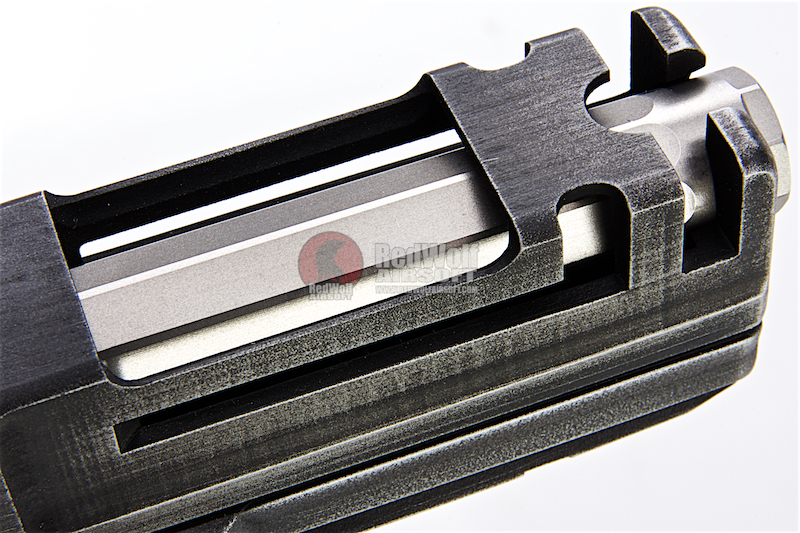 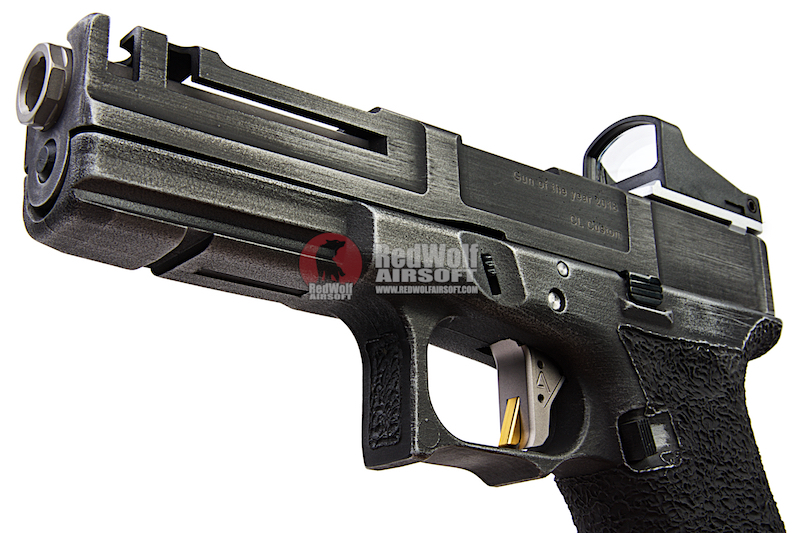 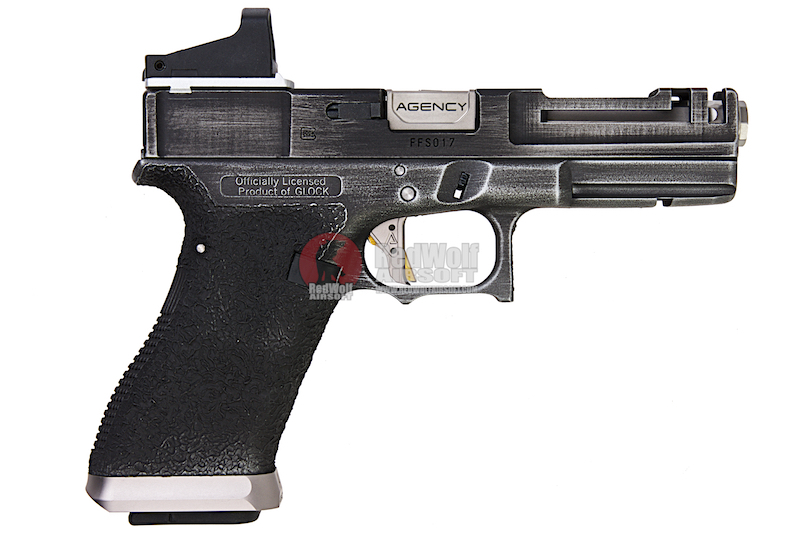 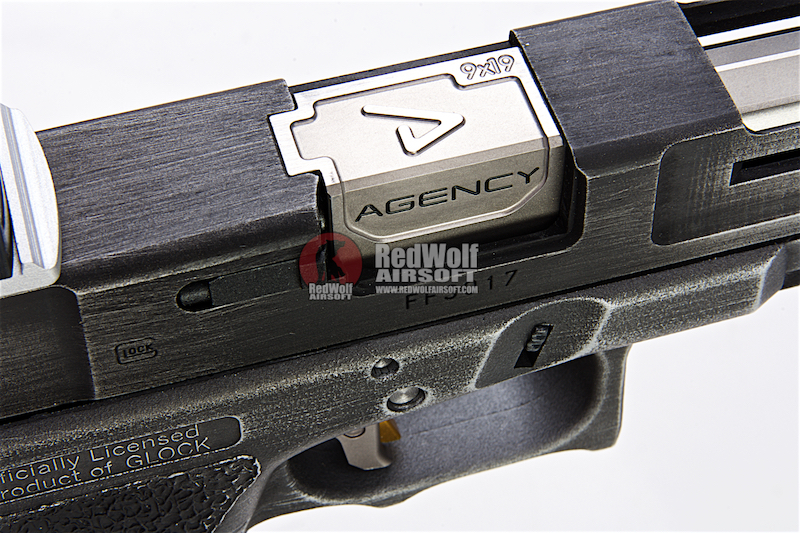 The gun is highlighted by its hand milled front end on the slide and battled worn cerakote finally accented by Agency Arms accessories such as the outer barrel,flared magwell, and trigger set. 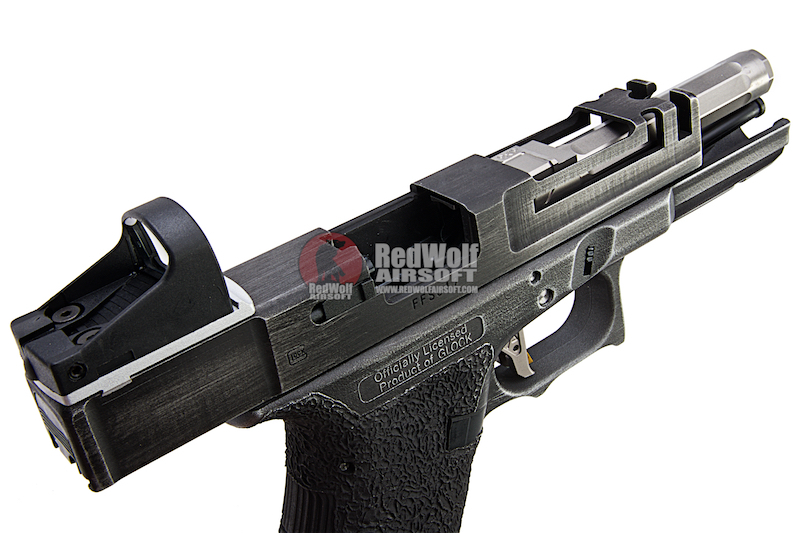 The slide also includes a red dot optic. 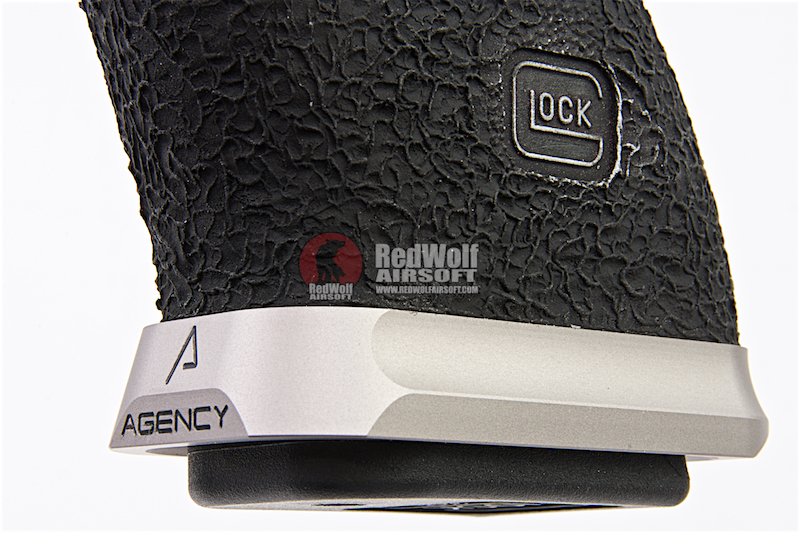 This is a fully licensed Glock from Umarex, that means all the original markings and logos are still featured on the gun, adding final detail.